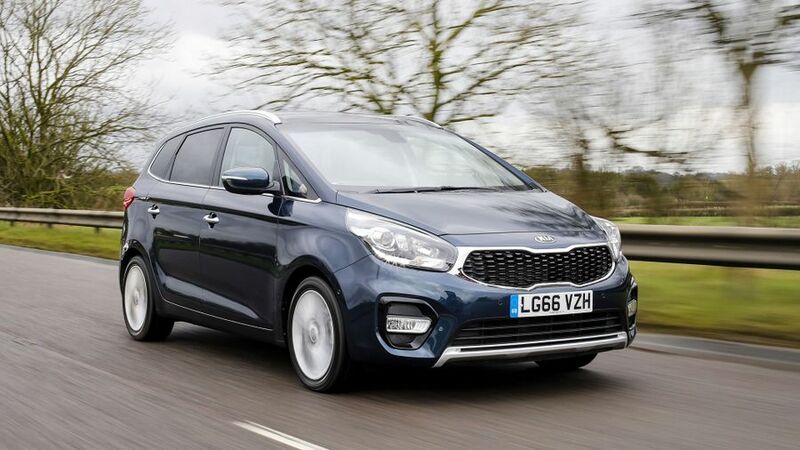 The Kia Carens is a compact seven-seat MPV that sits at the more affordable end of the market, and plays rival to cars like the Citroen Grand C4 Picasso, Renault Scenic and Vauxhall Zafira Tourer. It’s affordable to run, too, and also does well on style, quality and equipment. The Carens will be appealing to MPV buyers because it looks good, has a nice interior, is very affordable to buy and run, and you still get a lot of standard equipment for your money. 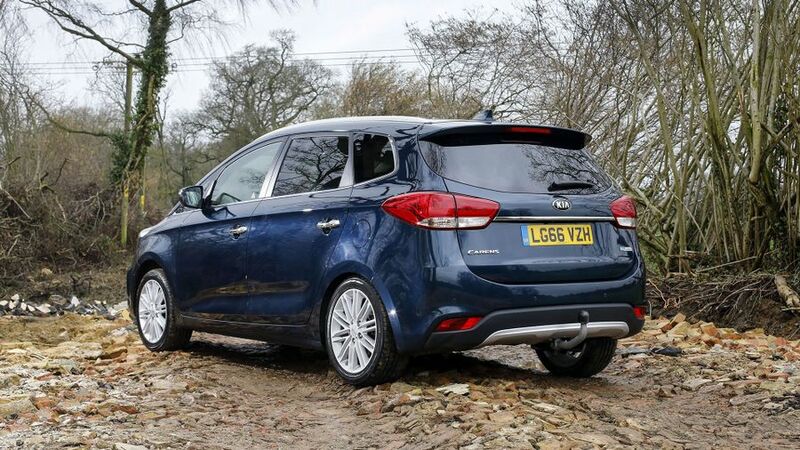 It has a very flexible seating arrangement, too, but unfortunately, it simply isn’t as spacious as many rival MPVs, and for many buyers with big families, that’ll be a deal-breaker. It’s not as polished to drive as many of its rivals, either. Affordable to buy and run, but has all the luxury kit you need. When fitted with a manual gearbox, this engine manages an official figure of more than 67mpg. Pokiest engine, automatic gearbox and highest trim level make this a very expensive combination. Interested in buying a Kia Carens? MPVs aren’t often bought for their style – that’s why seven-seat SUVs are proving so popular these days – but when judged against its direct rivals, the Carens is a fairly sharp-looking thing. The edges and corners have been softened off to give it a less boxy appearance, and there are plenty of interesting details and features to keep things interesting. The entry-level car doesn’t look quite as sharp as every other Carens in the range, despite having alloy wheels, LED daytime running lights, a chrome grille surround, and body-coloured bumpers, door handles and mirrors. From second-rung trim onwards, though, all Carens models look pretty much the same, with a gloss mesh grille, front foglamps, roof rails, and chrome-coloured door handles and window trim. 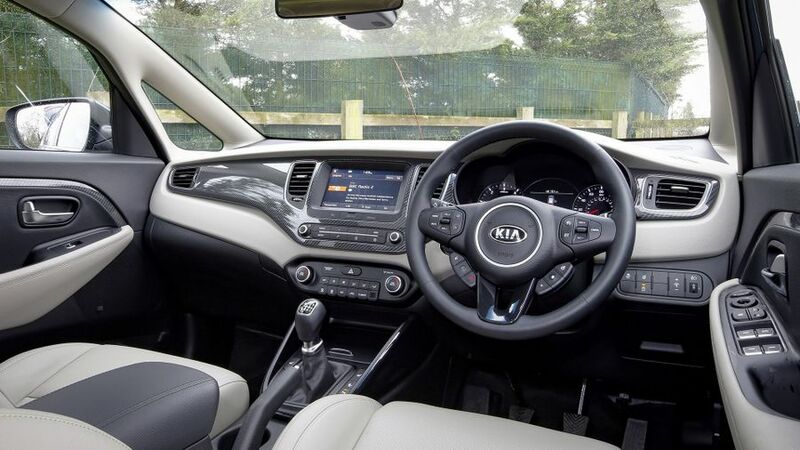 If you’re unfamiliar with Kia’s latest products and you’re expecting the Carens to have a cheap-feeling interior, you’ll be very pleasantly surprised. The materials on display are mostly very impressive, with a nice mixture of finishes and textures. There are one or two panels that aren’t of quite such a high quality, but most of them are well hidden and still feel pretty sturdy. The driving position is very high – which will be a godsend for some drivers and a nightmare for others – but other than that, there’s lots of adjustment for your seat and steering wheel. Your visibility is also pretty good in every direction. The layout of the dashboard is fairly simple, with the various controls being presented in logical clusters. Most of the buttons are large and well-marked, too, so they’re easy to hit at a glance. 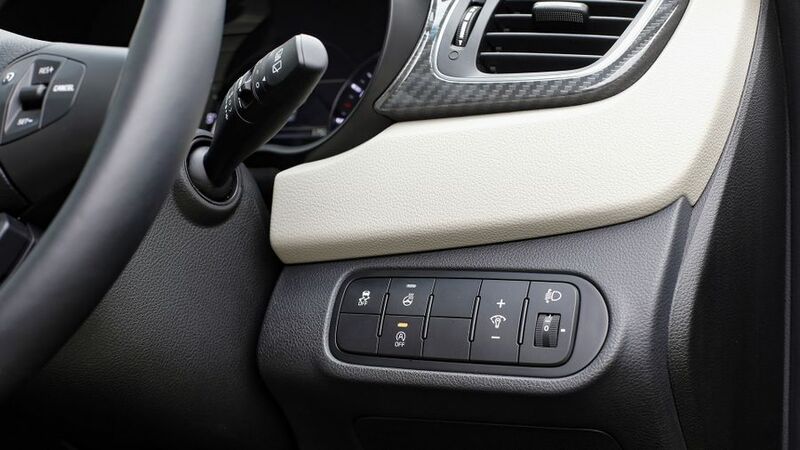 The exception to all that is the group of buttons positioned below the right-hand side of the steering wheel: they’re hard to see, hard to get at, and they perform all sorts of different, unrelated functions. 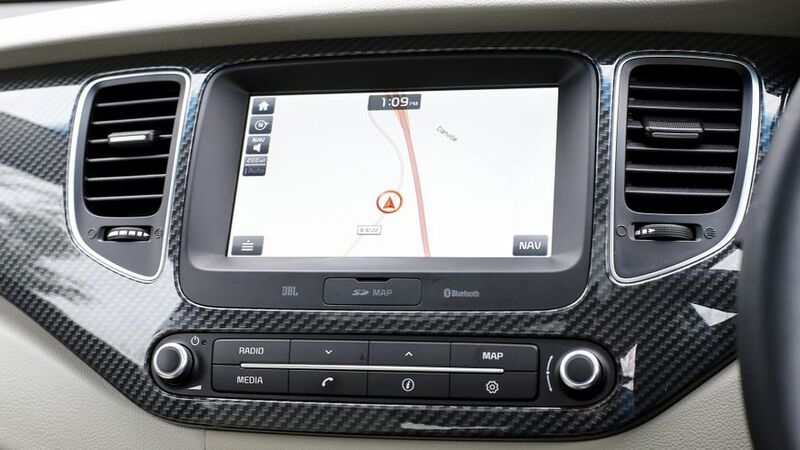 The touch-screen infotainment system is pretty easy to use, though, with logical menus and brisk responses, even if the graphics look a little dated and the functionality is rather limited compared with the most clever systems on offer. 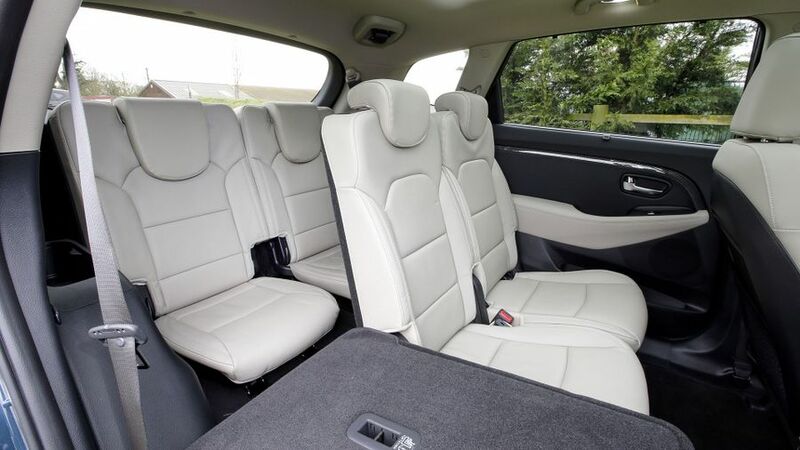 Physically, the Carens isn’t the biggest of seven-seat MPVs, and that can be felt inside the cabin. If you’re only using the first two rows, it’s excellent. The middle row of seats has lots of head- and leg-room, and because the three seats are individual chairs that can be slid and reclined independently of one another, five people will travel really comfortably. The perfectly flat rear footwell helps on that score, too, and you still have a large (if not brilliantly shaped) boot to put everyone’s stuff in. However, pull those two extra seats up out of the boot floor, and your cargo space reduces to a degree where only a couple of lightly stuffed grocery bags will fit. Getting in and out of these chairs can be tricky, too, due to the small aperture you need to climb through, but more of a problem is the restricted space around the seats once you’re in. Head-room is too tight for anyone even approaching adulthood, and even though the middle chairs can be slid forward to give more leg-room to those in the rearmost seats, there isn’t enough space to go around and everyone is left feeling rather uncomfortable. In short, the third-row seats only have enough room for children, and only on rare occasions. With that in mind, it’s also worth noting the rearmost chairs don’t have Isofix child seat mounting points (only the outer chairs in the middle row and the front passenger seat do). However, the news is better if you’re using your car as a cargo-carrier. All the rear seats fold down quickly and easily, and the load area you get in two-seat mode is both massive and perfectly flat. It’s fair to say the Carens doesn’t exactly dazzle in either area. Ride comfort is always more important than handling in a people-mover, and even though the suspension feels pretty soft, the car still jitters and fidgets over less-than-perfect road surfaces. That’s the case whether you’re trundling through town or blatting along the motorway. The Carens feels pretty clumsy when you ask it to change direction, too. The high-sided body leans over a lot in bends, even at moderate speeds, and the front tyres will wash wide of your desired line at lower speeds than you’d expect. The steering feels very artificial no matter which of the three modes you select, and if you don’t select the Sport mode, it’s also slow to respond and doesn’t have a strong enough self-centring action. 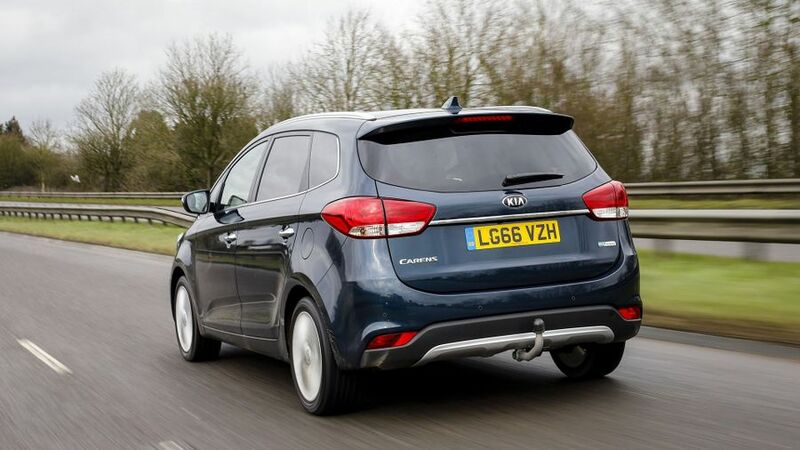 Sure, it’s debatable exactly how important the driving experience is for a car like the Carens – practicality always takes precedence – but even so, it’s true that many rival MPVs feel considerably more polished on the road. Three engines are available in the Carens: a 1.6 petrol with 135PS, and 1.7-litre diesels with either 116PS or 141PS. All come with a six-speed manual gearbox as standard, but the more powerful diesel can also be had with a seven-speed twin-clutch automatic if you so desire. So far, we’ve only driven the range-topping diesel with the manual ‘box, and it’s entirely adequate. There’s enough low-down grunt to pull this large car along with reasonable purpose, and you won’t often have to shift down a gear when trying to pick up speed on the move. The engine can get a little rowdy when you really work it hard, but its flexibility means you won’t often have to. The manual gearbox has a rather notchy, imprecise shifting action, though. 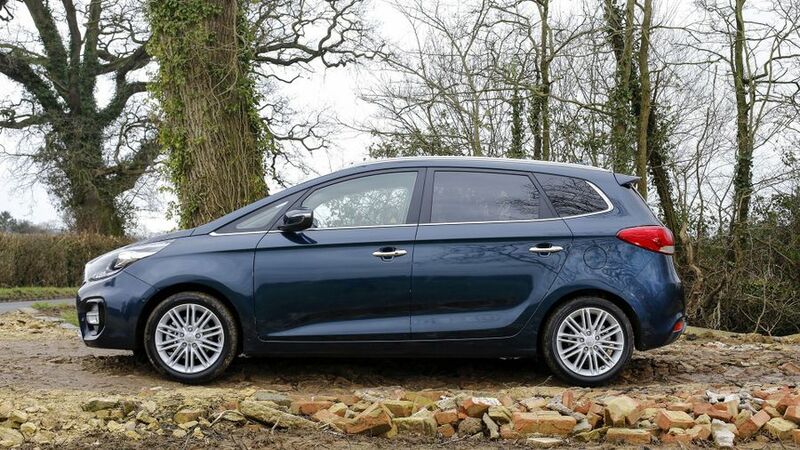 The Carens is a wee bit cheaper to buy than rival MPVs from Citroen and Renault, and way cheaper than the Volkswagen Tourans and Seat Alhambras of the world. 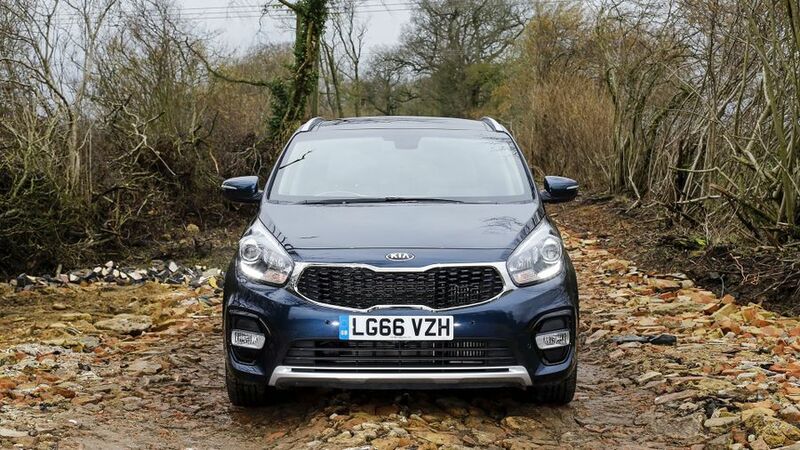 There’s more good news in that the Kia’s resale values are just as strong as those of its most closely-priced competitors, and it’s also pretty strong on insurance, fuel economy and costs for servicing and repair. All this means that, overall, the Kia will probably cost you a shade less to own over a typical three-year period than most of its rivals. And for families on a tight budget, that’s very appealing indeed and represents great value for money. Look at Kia’s performance in the Warranty Direct Reliability Index, and you’ll notice a theme. The brand sits bang in the middle of the manufacturers rankings, while as an individual model, the Carens also has a very average score. The owner reviews on our website suggest buyers have experienced few troubles with their cars, and there’s no ignoring the appeal of the seven-year/100,000-mile warranty that you get as standard – cover that is also fully transferable to subsequent owners. The Carens has achieved the full five-star rating in Euro NCAP crash tests, but that was way back in 2013 when the testing thresholds were far less demanding, and we doubt it’d perform as well if it were tested today. Why? 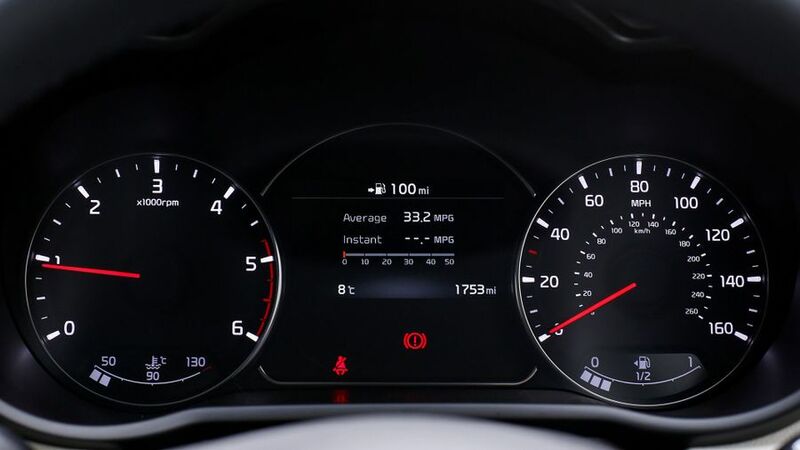 Well, all models come with six airbags as standard, along with a variety of electronic traction aids, but it doesn’t have the latest driver assistance systems – things like automatic emergency braking – which are pretty much essential to getting a top score. You can’t add these items as optional extras, either. The Carens range couldn’t be more simple to understand. There are four trim levels, imaginatively numbered from 1 to 4. The 1 trim is the basic one, but even that comes with leather-bound driving controls, air-con with rear ventilation, cruise control, steering wheel audio controls, powered windows, remote locking and a stereo that incorporates Bluetooth and USB and aux-in ports. Even so, you’ll probably still want to upgrade to 2 trim for its DAB and touch-screen navigation system, not to mention its automatic lights and wipers, dual-zone climate control, Apple CarPlay/Android Auto functionality and rear parking sensors with a rear-view camera. 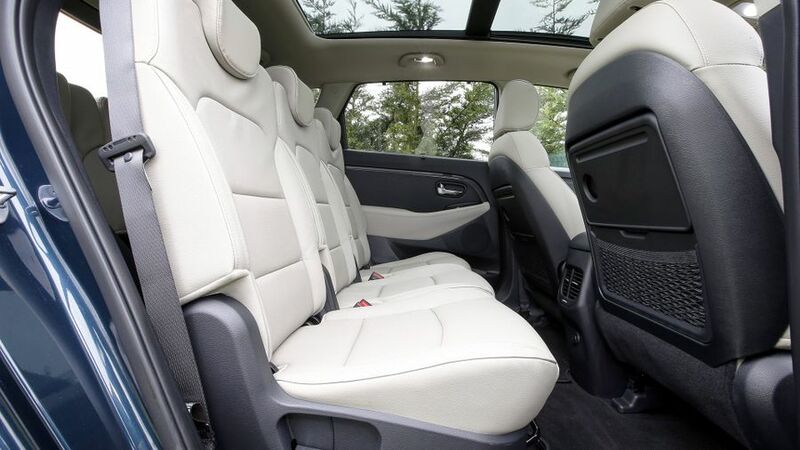 The 3-trimmed car adds leather upholstery, heated front seats and a powered driver’s seat, while the range-topping 4 gets a panoramic sunroof, keyless entry, a premium sound system and a self-parking function. Because you’ve got a lot of people to ferry around and you’ve got a limited budget to do it with, but you still want your fair share of style, quality and standard luxury equipment. The Carens delivers on all those fronts, but you will have to make sacrifices in terms of cabin space, driver appeal and standard safety kit.